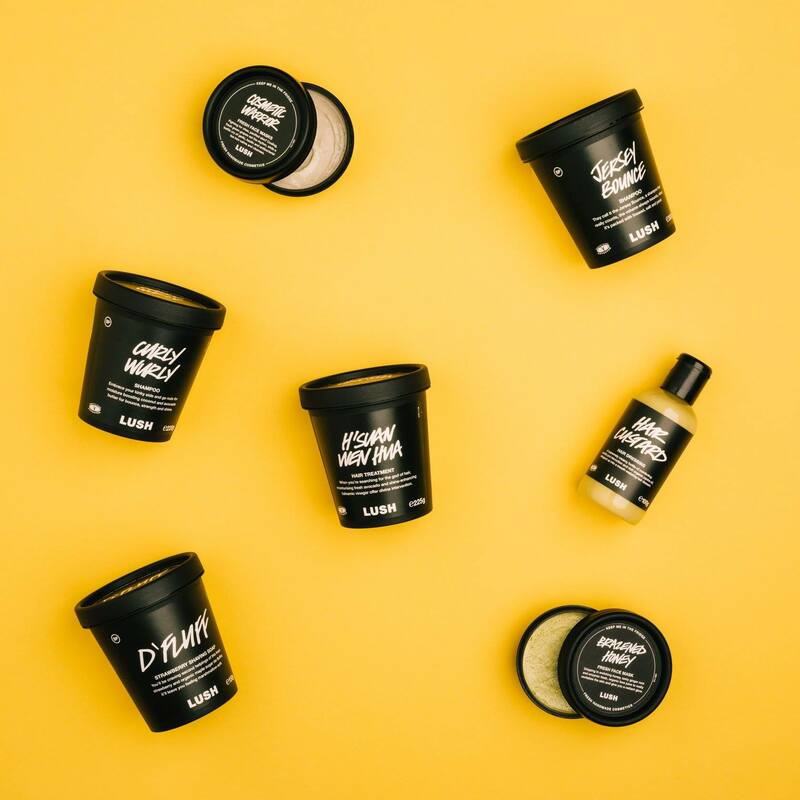 Cruelty-free beauty advocate Lush has announced its decision to remove eggs from all of its products claiming the truth about egg production is so unpalatable. Cruelty-free cosmetics company Lush has announced that it will no longer be using eggs in its beauty products thanks to animal welfare concerns, period. 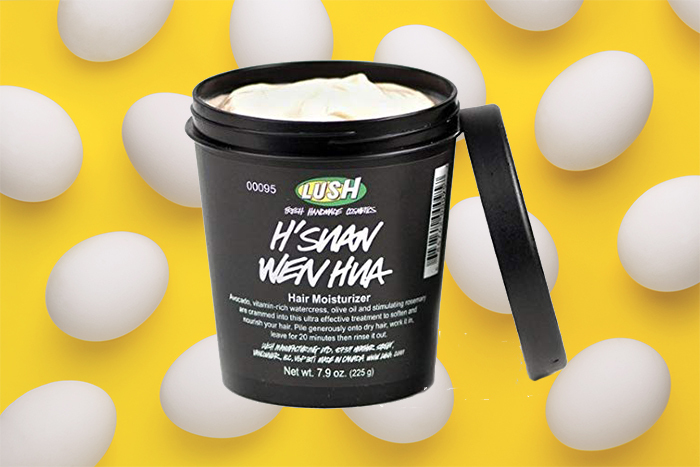 The products that are now egg-free include D’fluff strawberry shaving soap, Hair Custard hair dressing, Curly Wurly shampoo, Jersey Bounce shampoo, H’suan Wen Hua hair treatment, Brazened Honey fresh face mask and Cosmetic Warrior fresh face mask. The company has experimented with many ingredients to ensure the products are still as effective as ever to use and will be using chickpea aquafaba, tofu, soya yoghurt and wheat gluten to replace eggs in the products. Whilst the company has taken steps to reduce the number of animal products used in its production facilities, with the majority of new products and seasonal ranges being released being entirely vegan, only one of the newly reformulated egg-free products will be vegan; D’Fluff. The rest remain vegetarian as they contain honey or lanolin. In a statement sent to Vegan Food & Living, a spokesperson for the company explained Lush’s decision to go egg-free saying: “Lush is a proudly vegetarian company. Not only do we ensure that all the ingredients in our products are vegetarian, but we also strongly believe that no animals should be used in tests for cosmetics products. Lush has been built from day one on these values, which we strictly adhere to. “Lush have also always used Free Range eggs – but gradually we tried to go beyond just free range and switched to suppliers that met and exceeded the organic free-range criteria. Over the years our Buyers have visited many free-range chicken farms to see the chickens and check the standards. What has become clear during this process is that there are some hard truths of egg production that are difficult to face up to – and which are almost impossible for the egg industry to show to company buyers or consumers of eggs. “We can visit the hens and see them living freely and eating good quality organic food, but what we cannot see, or film to show our customers, is the process that happens before those hens arrive at the organic, free range farm. The hatching of millions of eggs at commercial hatcheries, the sorting of the chicks into the females to be sent on to farms to lay eggs and the male chicks to go straight to their deaths by methods so brutal that it would be impossible to present on our website. “We can no longer, in good conscience, use an ingredient that we are unable to be transparent about because the truth is so unpalatable. If we can’t make one of our usual ingredients buying films to show you the whole process of an ingredient, then we shouldn’t be using that ingredient. It became that simple. Whilst Lush will no longer be using eggs in its products, there may be both versions on sale in-stores worldwide while the original items sell through so be sure to check the label before purchasing.